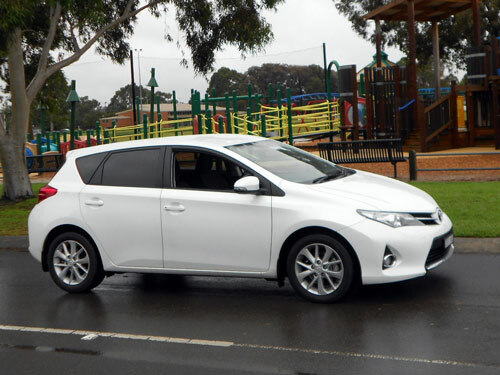 Now the most popular car in the nation, the Toyota Corolla proves why it is so during a run around Melbourne recently. The popularity of Corolla was proven last month when 3,640 Corolla hatches and sedans were sold. This made the car's total sales for 2013 (January to May) an outstanding 16,774 registrations. So Corolla was #1 in May sales and #1 in year-to-date sales. 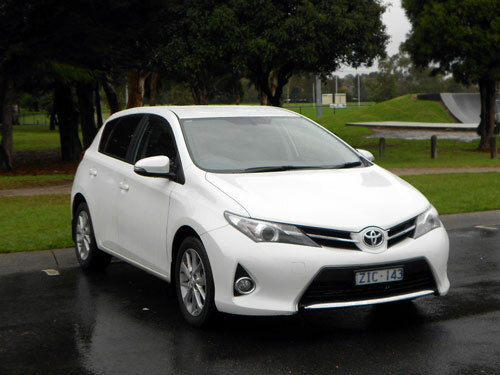 In the decades that the Corolla nameplate has been in existence, Toyota has sold over 1.2 million Corollas in Australia. 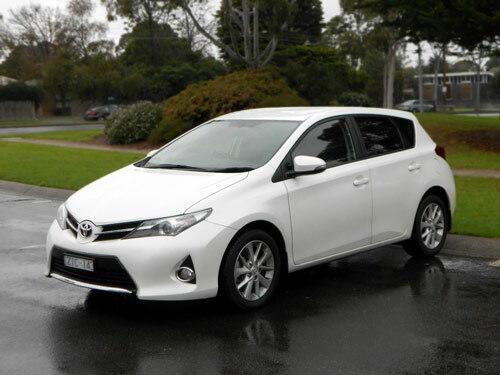 Our white example of the Toyota Corolla Ascent Sport hatch was fitted with the optional automatic transmission. In a four level line-up of models in the hatchback body style, the Ascent Sport is second on the ladder fitting above the base model Ascent and below the two Levin models (the SX and ZR). The Ascent manual hatch is priced from $19,990*, a very competitive figure. The Ascent Sport hatch starts at $20,990* for the manual transmission version. The automatic version of the Ascent Sport hatch, like our test car, is priced from $22,990*. Metallic paint adds $437 to the price. We like the value proposition of the Ascent Sport hatch, compared to the base model, because of the inclusion of 16" alloy wheels, rear privacy glass and a touchscreen audio system including reversing camera. The front-wheel drive Corolla comes with a 1.8 litre four-cylinder engine. Maximum power is 103 kW at 6,400 rpm and maximum torque is 173 Nm at 4,000 rpm. The optional auto fitted to the test car was the continuously variable type. This type of transmission seems to be appearing in more and more models. Four-wheel disc brakes and power steering are standard. Folks can debate the value of having a 1.8 or a 2.0 litre engine for a small car and there may never be a winner in any such debate. 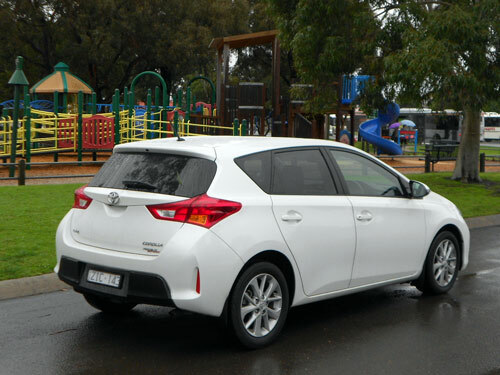 But from our experience we must say that the 1.8 provided all the response we ever required for our extensive 695 kilometres of city and suburban motoring during our week's drive time with the new Corolla hatch. We got around a little more than usual on this occasion and all team members who experienced the car enjoyed the experience, be it as the driver or as a passenger. 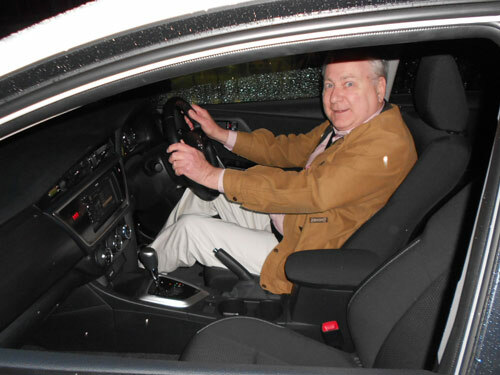 All controls were light and intuitive, whilst the driving dynamics seemed just right for this class of car. Everything seemed to come together so well we were all quite impressed by the Corolla. This new model was released late last year. The interior comfort was suitable, no doubt about that. Certainly superior to some competitors. The space was quite good as we never felt cramped during our experience. Taller passengers may feel a little tight in the back seat but for average sized adults the rear was good. Reality suggests though if five people were to be onboard there would need to be one or two children in the mix. With a five star ANCAP safety rating, seven airbags, ABS with electronic brake-force distribution and brake assist, vehicle stability control, traction control and enhanced body strength the new model Corolla hatchback measures up in the safety area. Our average was 7.9 litres per 100 kms, which was mostly all big city suburban travelling. Although we did hit the freeway on the odd occasion and, perhaps, did nearly 50 kms of freeway driving. The automatic, as tested, has a fuel consumption rating, on a combined cycle, of a very reasonable 6.6 litres per 100 km according to the standard testing procedure. Because of our heavier use in a suburban environment, we were happy with the fuel consumption. The fuel tank capacity is 50 litres and 91 RON unleaded petrol is suitable for the new Corolla. CO2 emissions are 152 grammes per kilometre from the Euro IV compliant engine with automatic transmission. With a manual gearbox, emissions are higher at 166 grammes per kilometre. Boot capacity: 280 litres, expanding to 1,120 litres with rear seats folded and cargo cover removed. The Corolla comes with a three year/100,000 kilometre warranty and roadside assistance package (conditions apply). Service intervals are 6 months or 10,000 km. The new Corolla is eligible for Toyota’s capped price servicing which limits up to six log book services to a maximum of $130 (current figure). Conditions apply, of course. Quite frankly, I like this new model Toyota Corolla hatchback. And I prefer the Ascent Sport over the base model Ascent. The most popular car in the nation deserves to be just that. I like it a lot!